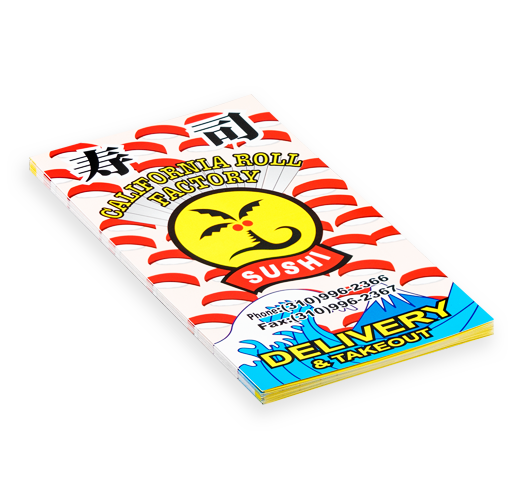 Our high quality printing will make your food even more appetizing. We offer multiple folding and paper options. Get a free file check and PDF proof with your order. When you want to showcase your restaurant's delicious food, order dine in menus. 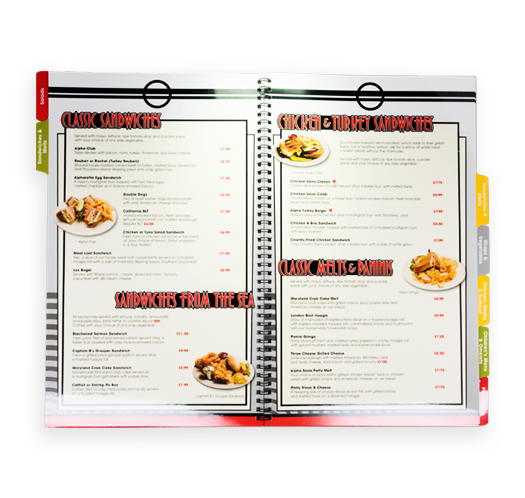 We offer a lamination option that will prolong the use of your dine in menus. Take out menus are a versatile product. They offer a great way to showcase your great food, and promote discounts and promotions. Choose from a wide variety of folding and paper options.